Sheffield, UK – Wildlife has been killed and incinerated on a bonfire on moorland leased for grouse shooting by Yorkshire Water. Wild animals have been killed and incinerated on a bonfire on a South Yorkshire moor leased for grouse shooting by Yorkshire Water. 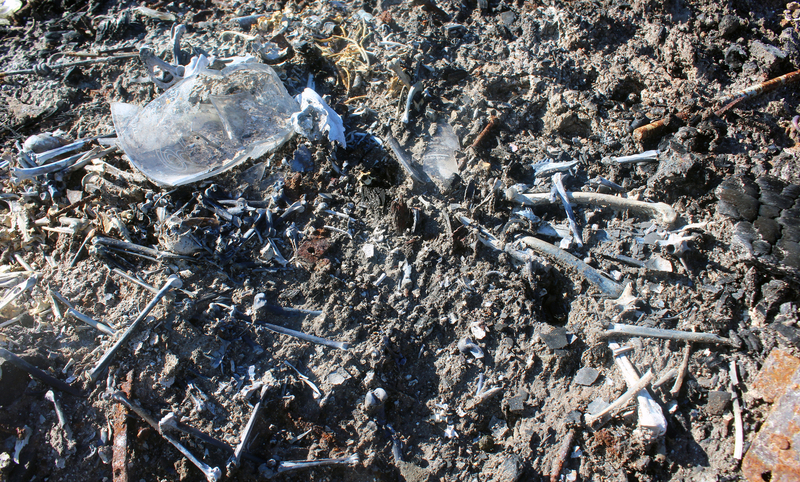 Ban Bloodsports on Yorkshire’s Moors (BBYM) made the grim discovery of bird and mammal skeletons torched alongside liquor bottles and shotgun cartridges on Range Moor, near Langsett Reservoir (photos here). Native wildlife is relentlessly eradicated by gamekeepers on Yorkshire Water’s moorland to increase red grouse numbers for shooting parties. Jaw-like fenn traps—in which stoats and weasels can take up to two minutes to die—were found set on the moor, some still containing the decomposing remains of captured animals. Snares targeting foxes and the area’s threatened population of mountain hares were crudely installed on an exposed hillside. Sensitive peatland habitat has also been burnt, a practice which pollutes catchment water and leaves vulnerable breeding birds—including hen harrier, merlin and dunlin—no longer able to make the damaged moorland their home. BBYM has investigated six randomly-chosen moors leased out by Yorkshire Water for grouse shooting, uncovering systematic wildlife persecution and environmental degradation on each. This has resulted in rising pressure for the utility company to end grouse shooting on its land. “Wildlife persecution uncovered on Range Moor, where animals are being caught in inhumane traps and snares before their bodies are callously tossed into a bonfire, is clearly inexcusable. With this being the sixth Yorkshire Water moor leased for grouse shooting where extermination of wildlife and environmental degradation has been documented, it is clear there is an ecological scandal ongoing and tough action from the utility business must be taken. Every local authority in the county, including nearby Sheffield Council, has ended the bloodsport on their uplands estates, having once allowed it, and Yorkshire Water is now being urged to follow their example. Over 16,000 people have signed a petition to Yorkshire Water’s CEO Richard Flint, demanding the utility company brings its grouse shooting leases to an end.